President Obama nominated Samantha Power to be the next American ambassador to the United Nations on Wednesday. As a journalist, academic, and sometime presidential advisor, she has consistently argued in favor of international action to prevent genocide and other abuses of human rights. She discussed her philosophy—and the role of the U.N.—in a 2008 interview with Miller-McCune magazine, the precursor to Pacific Standard, which we&apos;ve reproduced below. 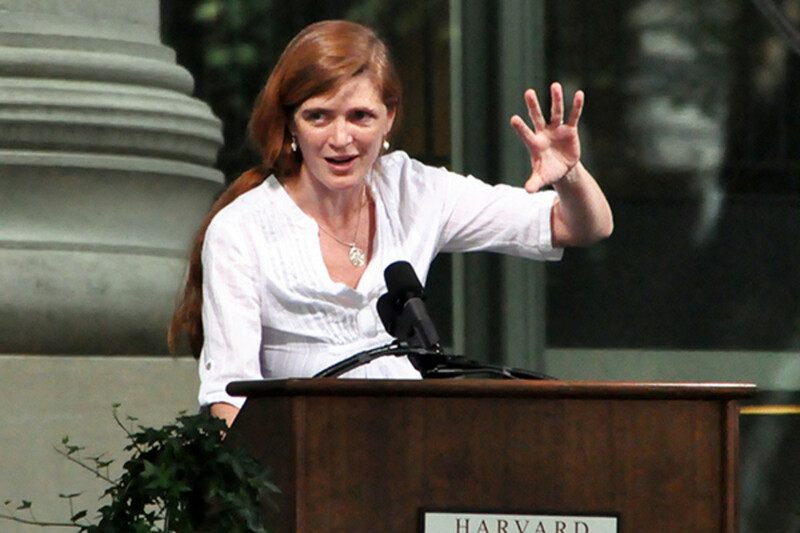 Samantha Power teaches at Harvard University&apos;s Kennedy School of Government, and it&apos;s worth noting her official title: "Professor of Practice of Global Leadership and Public Policy." As a teacher, Pulitzer Prize-winning writer and until recently a senior adviser to Barack Obama, she has focused on how leadership can be effectively exercised in an increasingly fragmented world. A self-described "humanitarian hawk," she argues that the U.S. needs to take humanitarian principles seriously and act aggressively to combat genocide and other human-rights abuses. But she notes its ability to persuade other nations to follow its lead on such matters has suffered horribly due to the Iraq War and the variety of excesses committed in the name of the "war on terror." Power, whose books include the 2003 Pulitzer Prize winner A Problem From Hell: America and the Age of Genocide, and the recently released Chasing the Flame: Sergio Vieira de Mello and the Fight to Save the World, resigned from Sen. Obama&apos;s presidential campaign March 7 after referring to Sen. Hillary Clinton as "a monster" in an interview with a British reporter. U.S. leverage over China is not what it once was. Our economy is said to be teetering on a recession, and we&apos;re deeply nervous about how indebted we are to China. Everything is connected to everything else in the 21st century. While on that British book tour, she also reaped controversy by suggesting that Obama&apos;s Iraq withdrawal plans were a "best-case scenario." In an interview with Miller-McCune.com, she discussed the strategic and human-rights problems the next president will face, and talked about what she learned during her 14 months on the campaign trail. Miller-McCune: Marking the fifth anniversary of the Iraq War, New York Times correspondent John Burns recently wrote, "The Iraqis I met who felt secure enough to speak with candor had an overwhelming desire to see American troops remain long enough to restore stability." Having destroyed the regime that was in control there, do we have a moral responsibility to stay in that troubled nation and keep the peace? If so, for how long? Samantha Power: It&apos;s a very tough question. While it&apos;s tempting to say, "Let&apos;s continue to keep our finger in the dike," the fact is there are other holes in the dike. If we put our finger in one hole, the water comes rushing through the others. There are costs to being in Iraq. Being an occupier is not good for anybody&apos;s global standing. It is a catalyst for terrorist recruitment. Right now, there is not a whole lot of evidence that the Iranian-backed government is all that serious about the kind of political accommodations that will be required for our presence to make a lasting difference. Among those who support staying, there is the invocation of doomsday: Because the troop surge has brought about a drop in violence, when we leave there will be an explosion of violence. I can&apos;t prove unequivocally that they&apos;re wrong, but I&apos;m not persuaded by this argument. In accounting for the drop in civilian deaths, this argument does not take into account the role of Muqtada al-Sadr&apos;s cease-fire, or the Sunni tribal chiefs taking on al-Qaeda. The argument implies that we are responsible for everything, but offers no account of how Iraqi leaders will have the incentive to make difficult political compromises while they believe we are staying indefinitely. The argument also doesn&apos;t address the profound costs of remaining in Iraq to U.S. standing and security elsewhere. Among those who want to get out immediately, there is sometimes a similar solipsism - a suggestion that the United States is responsible for all the harm in Iraq, and thus when U.S. troops leave, the harm will subside. That is also asserted but not shown. Sometimes proponents of withdrawal speak as though U.S. standing around the world will improve once we leave, irrespective of how messy the aftermath is; whereas I believe that global public opinion will take serious note of how we leave. For me, the way to balance all of this complexity is to engage in a very careful withdrawal - to be incredibly sensitive to the effects of our withdrawal on Iraqis, on U.S. forces and on the region. Such a withdrawal will require intensive diplomacy in the region and beyond during the 16 to 18 months required for the U.S. drawdown. It would be very interesting to see what a brilliant general like David Petraeus, who has thought for years about civilians&apos; welfare and counterinsurgency, would do if he was given different political instructions - how he would mitigate the harm if told he needed to orchestrate a withdrawal of U.S. combat brigades. Such a withdrawal would require more than simply leaving. U.S. leaders would have to give fair notice to Iraqi civilians, help facilitate the movement of Iraqis who want to move, offer massive refugee assistance in the region, and generally try to mitigate the humanitarian consequences of leaving. To not leave seems to me just staving off the inevitable, without pressuring Iraqis to be more compromising during their political negotiations and without achieving anything in the way of long-term stabilization. M-M: Whatever else we have achieved in Iraq, we seem to have emboldened Iran, which presumably was not one of our goals. Do you have a clear idea of who is in actually in charge in that nation? SP: I&apos;m not an expert on Iran, but the pivotal players are the clerics. The people who have significant power over the Iranians&apos; economic destinies and political freedoms are the political leaders. In other words, the bandwidth is defined by the clerics; how much of that bandwidth is occupied seems to be defined by (President Mahmoud) Ahmadinejad and other politicians. There is strong evidence that one thing that has strengthened Ahmadinejad&apos;s hand is American saber-rattling. The threats - implicit and explicit - of U.S. military action have united very diverse secular, Islamist and nationalist strands under an anti-Bush banner. If we were more judicious and less bellicose, I don&apos;t think that would make Ahmadinejad stop enriching uranium, but I think it would weaken him domestically. Our belligerence makes it easier for Ahmadinejad to rally his base. We should not make his life easier. Our tactics have backfired, I think badly, over the years. M-M: Do you think Iran is trying to create nuclear weapons? SP: It would surprise me if they weren&apos;t, but I don&apos;t know. I think all of us have lost faith in the National Intelligence Estimates (the most recent version of which concluded Iran is no longer pursuing nuclear weapons). Since Iran has regional and apparently even global ambitions, I would think it would see as in its interests to amass as much firepower as possible. Look at the other two members of the "axis of evil." North Korea, the one who had nuclear weapons, didn&apos;t get invaded by the U.S., while the one that didn&apos;t have nuclear weapons, Iraq, did. Iranian leaders may be using this argument domestically. What Ahmadinejad wants and what he has are two different things. It does not seem as though the Iranian regime is close to possessing nuclear weapons. The key for the U.S. is thinking more strategically about how to get other countries to partner with it to try to contain Iran - to put into place a tough international regime that impedes its uranium enrichment. The U.S. is not getting much in the way of international help to contain Iran. Other countries have their own self-interested reasons to want to partner with Iran (commercially), but when U.S. leaders claim Iran poses an imminent threat, they are not currently heard as credible. M-M: The Bush administration contends that promoting democracy around the world is the best long-term strategy to achieve peace and stability. Even if this idea has been inconsistently implemented, is it essentially correct? SP: It&apos;s in the U.S. interest, over the long term, for slow, stable democratization to occur. However, I don&apos;t think this administration, while endorsing waterboarding, setting up a network of unaccountable detention facilities around the world and imposing democracy by force, could have ever been seen as a credible promoter of democracy. I think Obama is right when he talks about the rule of law as a cornerstone of what the United States should stand for. That can encompass our elected officials&apos; adherence to law and our country&apos;s return to the Geneva Conventions. It could offer a hook for a giant international rule-of-law initiative that saw the United States working with other countries - and within global bodies - to help ensure that police in the developing focus on enforcing laws and enforcing rights rather than being tools of repression and corruption, which they remain in a remarkably high number of poor countries. M-M: The international community has been unable to effectively stop the violence and genocide in Darfur. Is this a political failing, a moral failing, a bureaucratic failing or all of the above? SP: It&apos;s a failure of political leaders to put resources on the line on behalf of the values they claim to care about. The peacekeeping force was authorized many months ago, but only a few hundred peacekeepers have deployed since the African Union handoff to the U.N. occurred in January. Countries are hardily falling all over themselves to put their police, or their soldiers, in dangerous places. In the case of the United States, I think it would be counterproductive to put military forces into Darfur. A U.S. military presence in another Islamic country would likely attract a similar breed of Islamic militant that the U.S. invasion of Iraq attracted. But there is an awful lot the United States could be doing, in diplomacy to get other countries involved, and in terms of logistic support, to facilitate the transport and equipping of international police and peacekeepers. The Bush administration has not really taken those steps. SP: Because while Darfur is on the State Department&apos;s list of "things to do," the list is long and filled with other A-level challenges like Iraq, Afghanistan and the Arab-Israeli conflict. Darfur has not commanded sustained, high-level attention. That said, the United States has taken more leadership on Darfur than any other country on the earth. It has not been joined in any serious way by any other Western country. The U.S. is not the most credible actor in the international system regarding human rights and humanitarian welfare right now. To some degree, other countries are using the U.S.&apos;s lack of standing as an alibi to excuse their own indifference. But the Bush administration could be doing more to make it harder for other countries to turn away. And Darfur is a tragedy that actually supplies this administration with a chance to burnish its legacy and do some real good in the world before it steps down. M-M: What is the role of the United Nations in all this? Hasn&apos;t it been frustratingly ineffective? SP: International institutions are composed of governments. Governments control their own military forces and police. The question is: Are the politics in a particular country or set of countries aligned such that those governments want to put their police or their troops in harm&apos;s way? There&apos;s no international institutional fix for domestic political indifference to mass killing. Making a more efficient U.N. doesn&apos;t make South Africa want to send combat helicopters to Darfur. Making a more nimble Security Council doesn&apos;t make Japan or Jordan want to send police or engineers to Darfur. The performance of international institutions will be symptomatic of the domestic political priorities of influential member states. International institutions don&apos;t really have a life and a mind of their own. The United States is leading the world on Darfur because American political leaders are being pressed by a vocal, domestic anti-genocide constituency. If citizens in other countries start to say "This matters to us," you&apos;d see more of a convergence. M-M: There was a failed uprising against the military government in Burma six months ago, and just this week there have been riots in Tibet. In both cases, we sympathize with those who are chafing at oppressive regimes, but there&apos;s no talk of action. Is there anything practical we can do in such cases? SP: The China factor unites all three of the cases we&apos;re discussing - Darfur, Tibet and Burma. (China imports large amounts of oil from Sudan, the African nation of which Darfur is a province.) The United States is adjusting to sharing the superpower stage with a country that makes no secret of its disregard for human rights. The Congress, because it does care about human rights, has made it impossible for U.S. companies to do business in Sudan, in Burma. Paradoxically, that means we have less leverage over the Sudanese and Burmese regimes than China has. Its government and its companies are effectively in bed with abusive regimes. 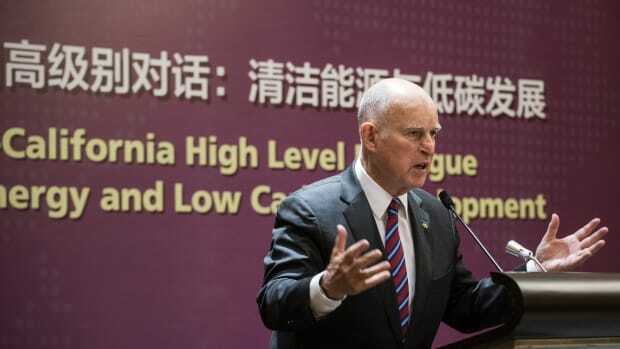 A major challenge going forward is how we use our economic and diplomatic leverage with China in such a fashion that we get Beijing authorities to see that it&apos;s in their long-term interest for them to be more demanding of their business partners. U.S. leverage over China is not what it once was. Our economy is said to be teetering on a recession, and we&apos;re deeply nervous about how indebted we are to China. Everything is connected to everything else in the 21st century. The bills we have racked up in Iraq, and the debts we have incurred, have reduced our leverage on trade but also on collective security challenges. M-M: You recently left the Obama campaign after a little over a year. Did you emerge from this feeling optimistic about the political system, feeling jaded, or somewhere in between? SP: I&apos;ve had a blessed life of learning, but I&apos;ve never learned more than I have in these last 15 months. I learned about a range of policies outside my areas of expertise, about the political system, about the primary calendar, even about what makes a great speech. I feel terrible about my intemperate remarks. Looking back, I realize just how caught up in the campaign I had become. I&apos;ve never said anything like that before or since, and have long believed we have an embarrassment of riches in terms of Democratic candidates. It is a blunder I will regret forever. But my stupidity doesn&apos;t take away from my overall view of the political process. A political process that can allow a relative newcomer with a strong vision, like Obama, to prevail - as I think he will - is something I will forever be proud to have played a small role in. I am hugely encouraged by what I have seen in this campaign - the American people&apos;s willingness to own their own destinies, the unbelievable wave of citizenship and repudiation of cynicism that Obama&apos;s movement has unleashed. I&apos;m only sorry not to have a front-row seat for the rest of it. 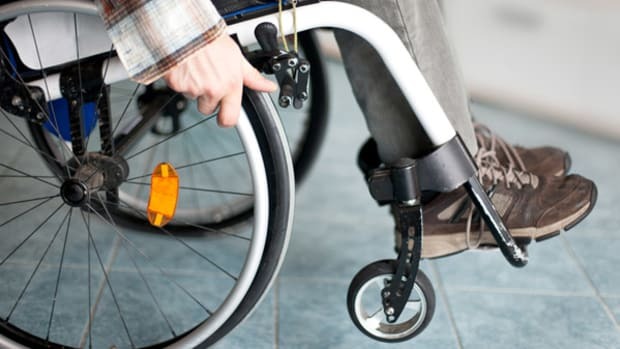 Opinion: A professor of disabled-rights law argues that U.S. Senate efforts to block ratification of a United Nations treaty confirming those rights is seriously wrong-headed.